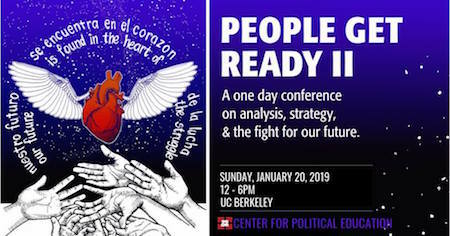 We have just posted three videos from our People Get Ready 2 conference.If you missed the conference, or are looking for a trip down memory lane, take a look on CPE’s Youtube channel for the new videos. Additional videos are available on CPE’s facebook page. 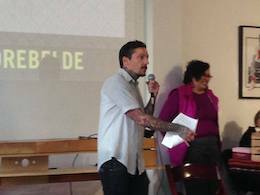 CPE is looking for a new co-director, as one of our current co-directors, Isaac Ontiveros, will be transitioning out of his position. While we’ll miss the insight, skill, and analysis that Isaac has brought to the position during the past couple years, we’re excited to bring someone on to continue CPE’s work and contribute new energy and perspective. GOT MEDIA SKILLS? 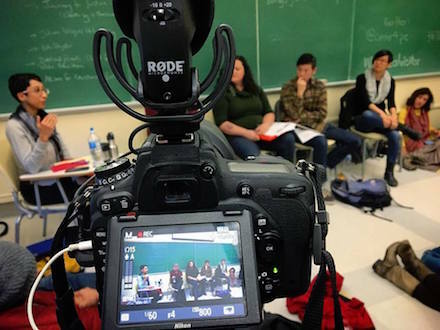 CPE is looking for a media intern to help us document and promote our programming. We are looking for someone with an interest in social change, political education, and media-making. This is what we need help with: Video documenting CPE programming Livestreaming CPE programming Photo documenting CPE programming Editing and uploading video/images to CPE social media platforms Helping to coordinate others to document CPE programming Contributing to the production of CPE’s podcast You don’t need to be pro, but having at least some equipment, skills, and excitement for this type of work would be helpful. Spirit of ’68 Reader Now Available! 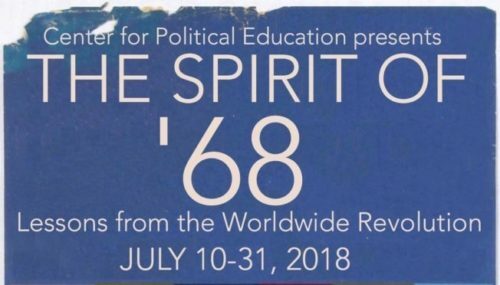 In July 2018, the Center for Political Education offered The Spirit of ’68: Lessons from the Worldwide Revolution, a four-part study of the politics of 1968 and its lessons for today’s struggles. CPE offers this online reader as a companion to the class. Has there ever been a more important time for organizations and movements to have the support and tools to fight smarter and more effectively? 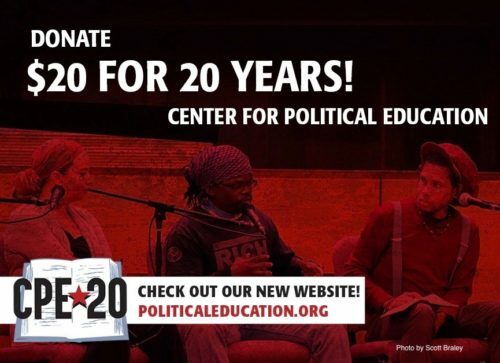 CPE is up to the challenge of working with groups to get into their best fighting form, but we need your help to keep CPE going strong.